Globish is a term invented by a French business man, Jean-Paul Nerriere, to describe the subset of English used in communication between non-native speakers. 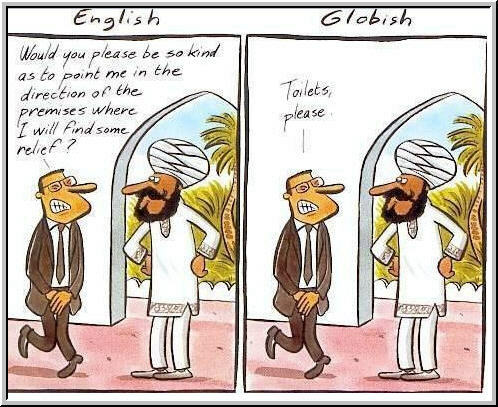 I'm curious--- what's your two cents on Globish being an English teacher ? Something about Globish seems condescending to me. I tend to use "international english". An interesting question. If English is now the international language why does the British Government now employ Esperanto translators ?